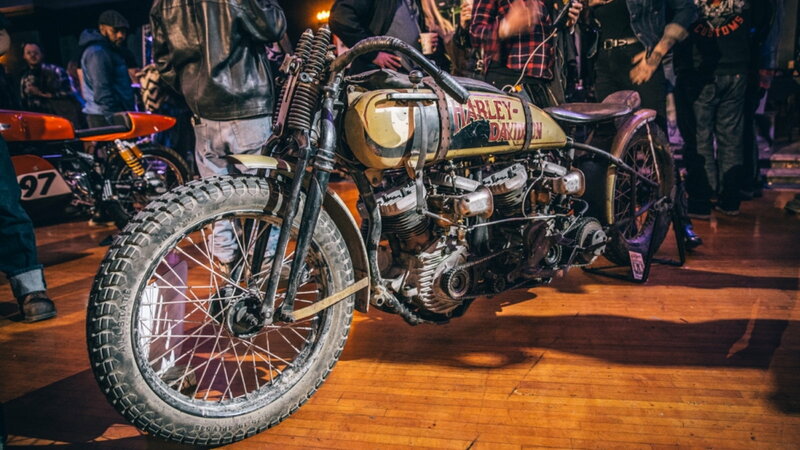 Daily Slideshow: There's something for everyone at this four-day extravaganza that features hundreds of bike builders, vendors, and custom motorcycles, not to mention riders and fans. If you're in the Midwest and haven't been to the Mama Tried Motorcycle Show, it's time to change that, although you'll have to wait for the next one in 2019. The indoor event took place on 24th and 25th of February this year and, although they're the official show days, there were plenty of attractions on the two days leading up to the show. So, it's essentially a four-day event. 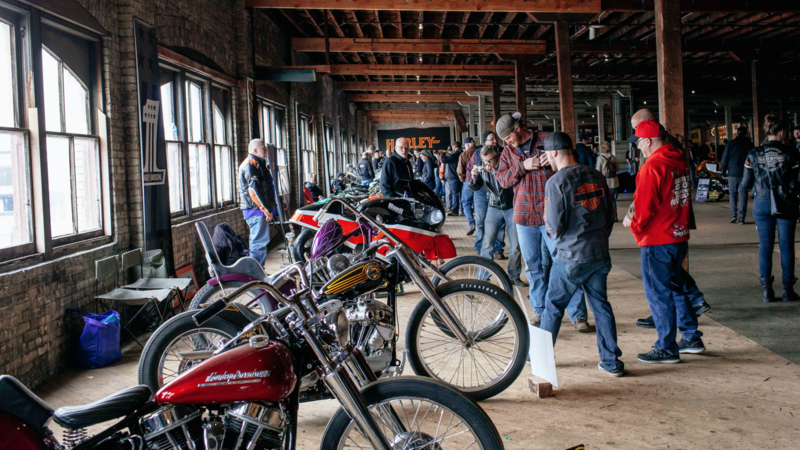 The show hosts around 100 bike builders, 80 vendors, and almost 250 custom motorcycles. 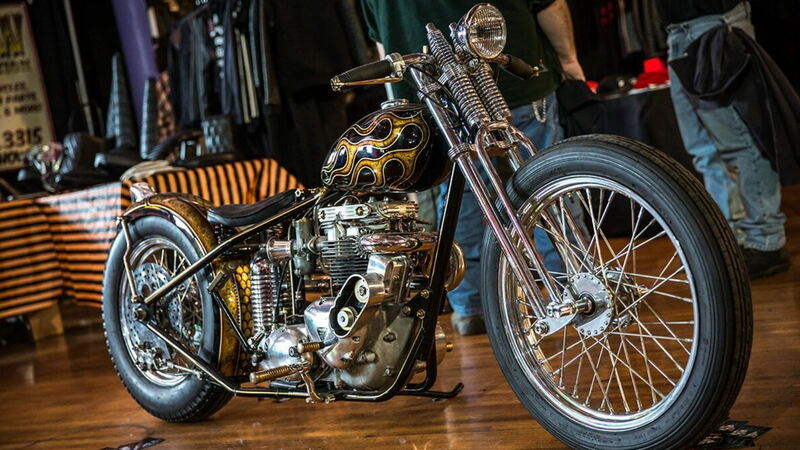 The Mama Tried Motorcycle Show is all about connecting custom builders with riders and fans. Saturday, the first official day of the event, is dedicated to motorcycle cinema. This year's inaugural all-day started at 11 am and finished up at 8 pm. Over the course of the day, event-goers were treated to four motorcycle-related independent movies. At the end of the day, there was a Q&A session with the creators of Sugar and Spade, which was one of the films shown on the day. Anyone with a general Mama Tried Motorcycle Show ticket could gain entry to all the movies and Q&A session. >>Join the conversation about the Mama Tried Motorcycle Show right here in HDForums. Anyone who only attends the two official event days would miss out on Flat Out Friday, and this would be seriously ill-advised. Flat Out Friday takes place on, you guessed it, Friday, and aims to put seasoned riders and rookies alongside each other on the starting line. The official press release described the flat track as "a Dr. Pepper syrup-soaked surface in front of 10,000 fans." There are seven race classes including Youth 85, Pro, Vintage, Brakeless, and Hooligan. 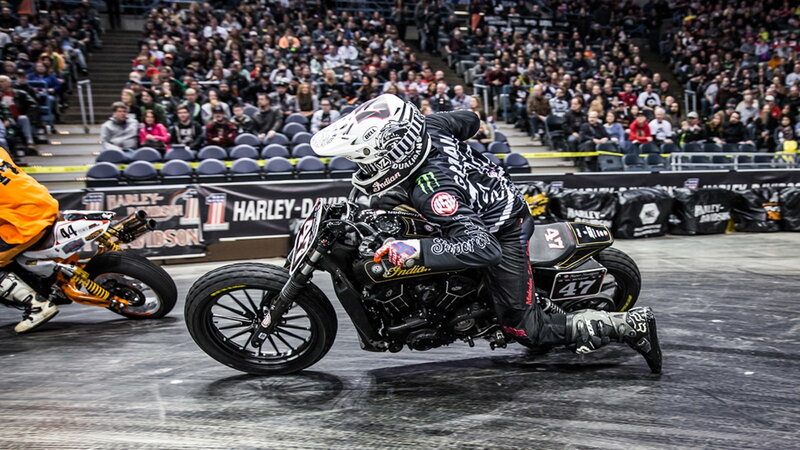 The races start at 5 pm at the BMO Harris Bradley Center Arena and AMA regulations are used. If you make it to Flat Out Friday you can expect to see at least 240 bikes launch from the start line over the course of the night. So maybe riding a Dr. Pepper syrup-soaked surface isn't your thing, in which case there's the "Slippery Sunday Ice Ride" which takes place on Sunday from 11 am to 3 pm. 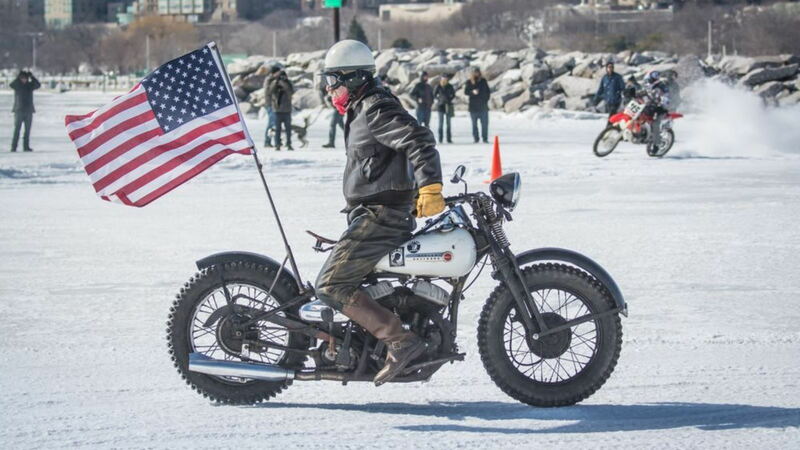 Get out on the Frozen McKinley Marina and finish the Mama Tried Motorcycle Show with a bang, figuratively speaking of course. The event takes place on ice, obviously, so bring the appropriate bike and tires. This year's show was the 5th annual event and it is growing rapidly. According to event co-organizer, Scott Johnson, "We outgrew the Lindsay Building (in Walker's Point) and the Rave offers a ton more space and amenities for our ticket holders. We don't have to worry about City Occupancy permits because it's in a legit, rad old building from the '30s. I think The Eagles Club will be a great home for us." Johnson reckons what sets this show apart from the rest is the diversity of custom motorcycles. According to him, "unlike other shows who have just cafe racers or just Harleys, we have everything under the sun: vintage Japanese race bikes, Hillclimbers, Ice racers, flat trackers, traditional choppers and everything in between." Be sure to book your ticket for next year's event now.